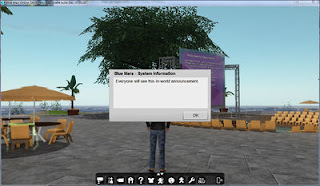 Blue Mars Blog: New Blue Mars Client and SDK Release December 16, 2010! New Blue Mars Client and SDK Release December 16, 2010! Apartments: In addition to Residences, you can now lease and decorate apartments in Blue Mars! Developers are able to create one structure with many individually instanced apartments inside so they are easier to make, and more efficient to place inside Cities than single family homes. Learn more about apartments here. Auto Patch Feature: If you already have Blue Mars installed on your computer, you'll no longer need to download patches from our Client Download site. 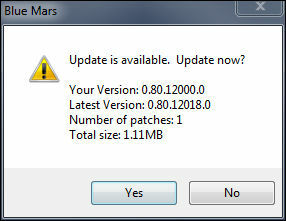 When you run Blue Mars, it will look for any updates and will ask you if you want to download the latest version. Client Wide Announcement Window: To notify users of upcoming and/or emergency server shutdowns, or to make worldwide announcements, we have implemented an announcement dialog window that will open up regardless of where you are in Blue Mars (including game levels and Places Browser). We modified the Animation Editor, so animations can now be up to 2 minutes (or 512K) long, fixed a bug that forced tenants to be removed before a block file could be re-uploaded, added the ability to remove groups and friends and eliminated the bug that caused lag and freezing if you had a long friends list! These are just a couple of the countless fixes done for this release that will improve Blue Mars for users and developers. To read more about the release, check out our Client Release Notes and our Developer Release Notes. Martian Holly Daze in Blue Mars!